The Benefits Of Air Scrubbers In Your Home - Comfort Experts, Inc.
Our homes are not as clean as we think. Indoor air is often more polluted than outdoor air thanks to cooking residue, fumes from cleaning products, and cigarette smoke. Thankfully, investing in an air scrubber from Comfort Experts can help eliminate harmful pollution from your home. 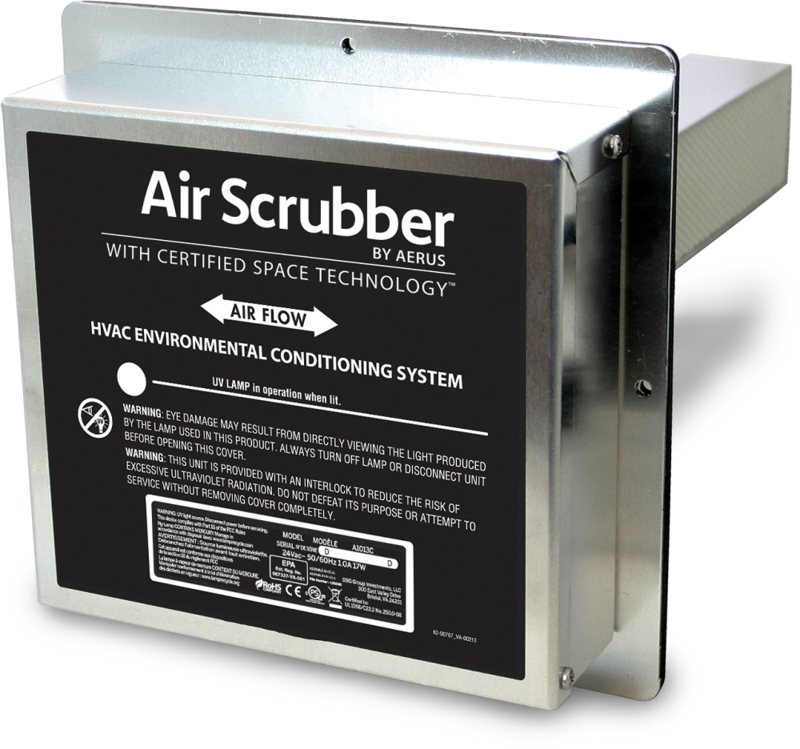 Installed directly into your HVAC system, an air scrubber uses ActivePure® technology that uses a germicidal UV light, honeycomb matrix, and advanced oxidation to purify the air and remove surface contaminates. Is there a smoker in the home? Pets? Lingering food odors? Having an air scrubber in the home reduces odors and other contaminated in the home, for a fresher smelling and safe environment. This is especially important in older buildings that can suffer from problems like mold spores, which can cause occupants to suffer from what is known as sick building syndrome. If you or any member of your family suffers from asthma or allergies, and air scrubber can be a lifesaver. Instead of constantly cleaning and dusting to reduce allergens in the home, an air scrubber filters out dust and other irritants like pet dander. An air scrubber protects your ductwork as it keeps mold, mildew, and dust from building up, helping prolong the life of your HVAC. Your home deserves to be clean and free of dust and other contaminates. Comfort Experts offers amazing deals on air scrubbers to make your home the cleanest it has ever been. Our team of experts is on hand 24/7 to help with any emergencies you may have and offer professional advice about air scrubbers that meet your needs.